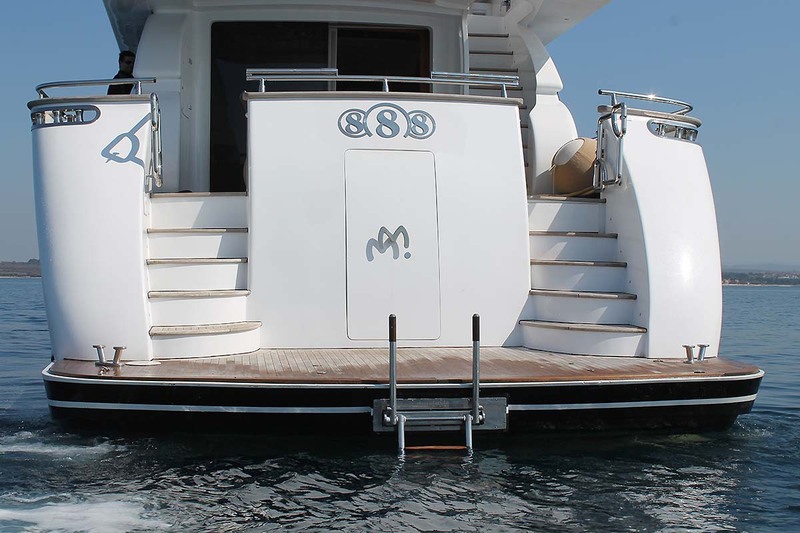 Motor yacht 888 (ex Dulcis) was launched in 2008 by Miaora Yachts and is 23,10m (75,9ft) overall. 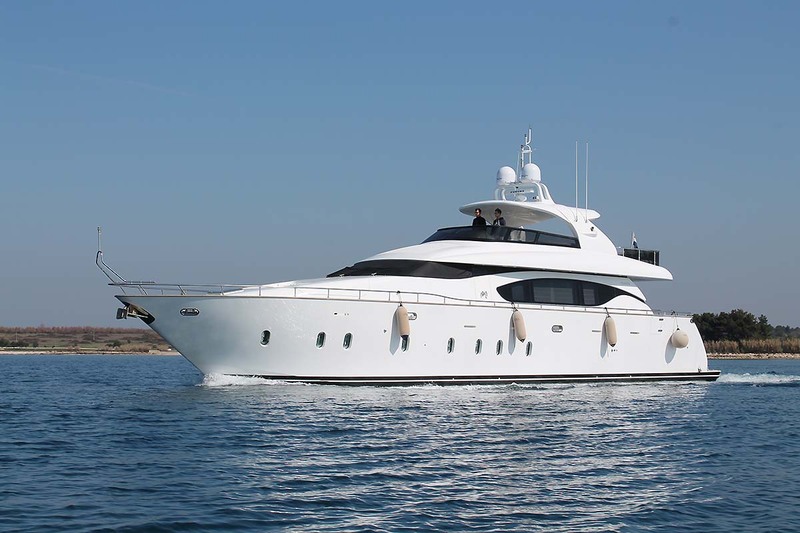 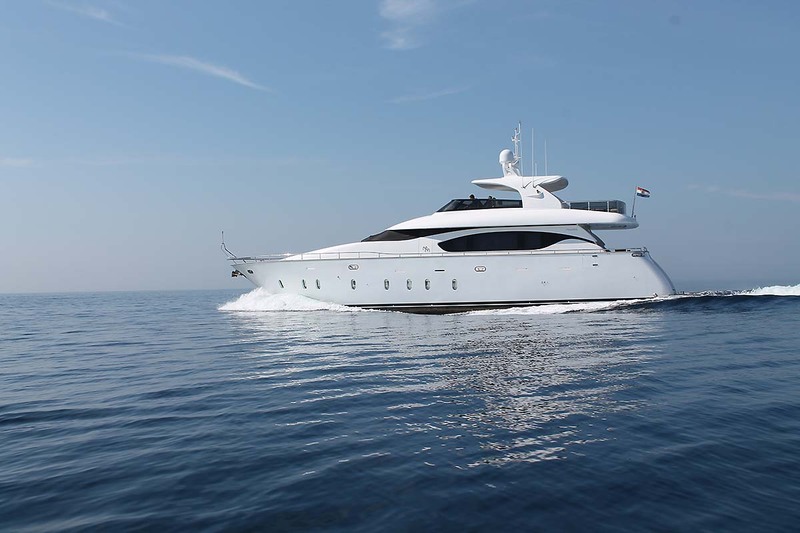 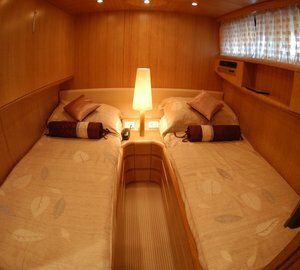 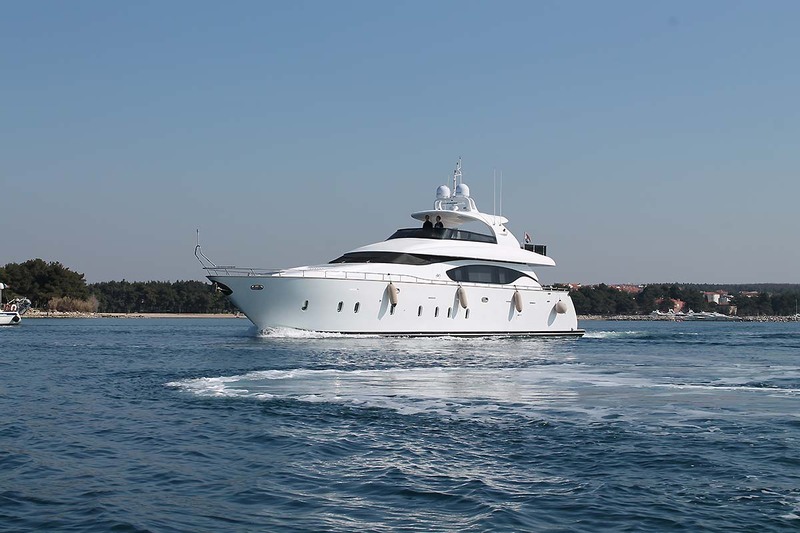 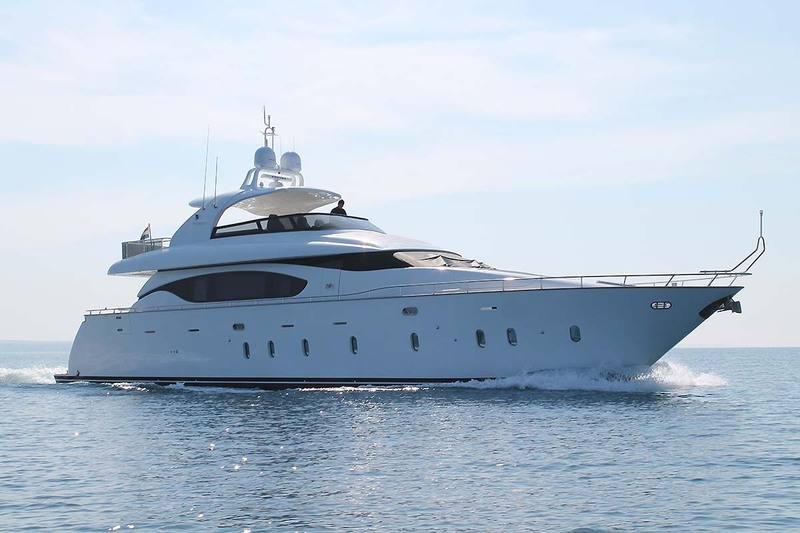 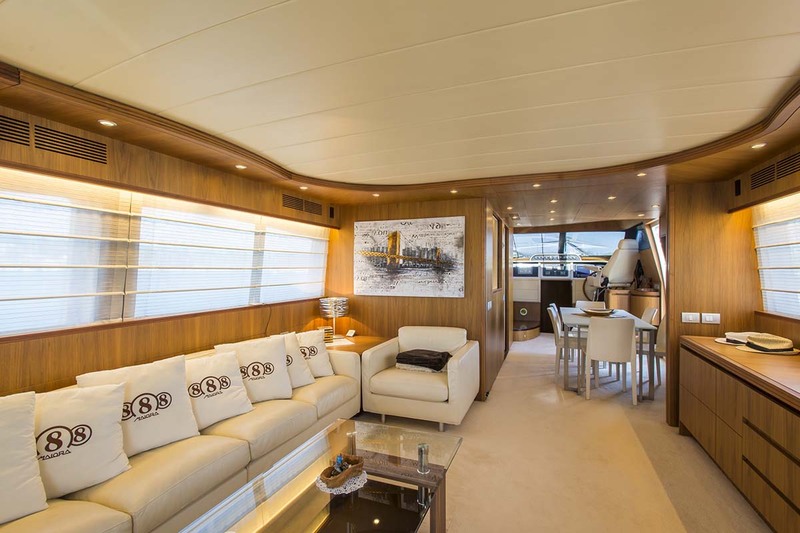 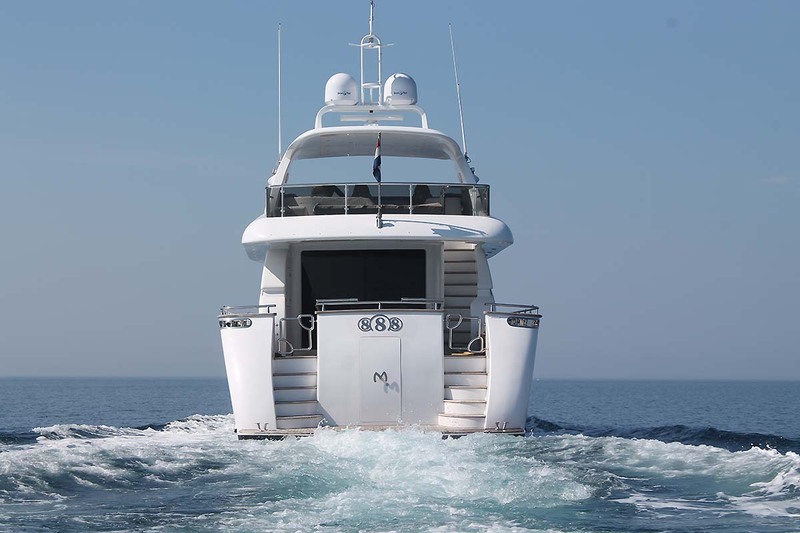 The yacht can accommodate up to 7 charter guests, in 3 cabins. 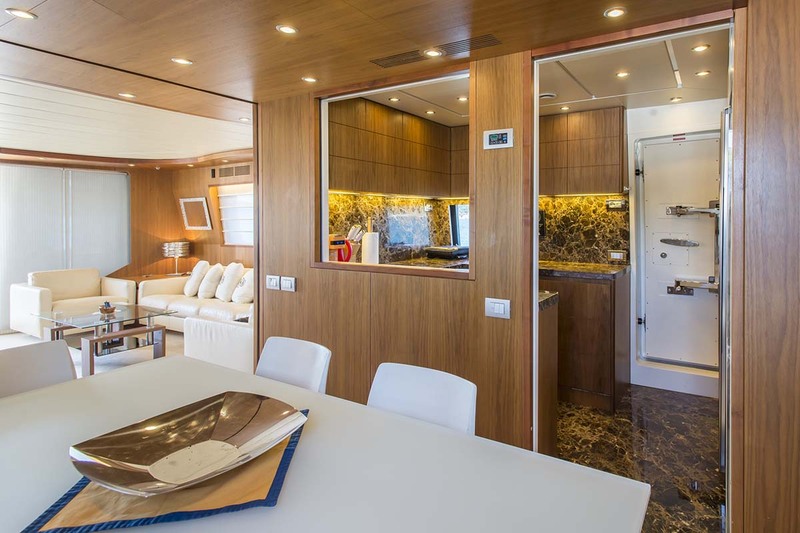 In 2017, 888 received a refit, which included both mechanical and interior upgrades. 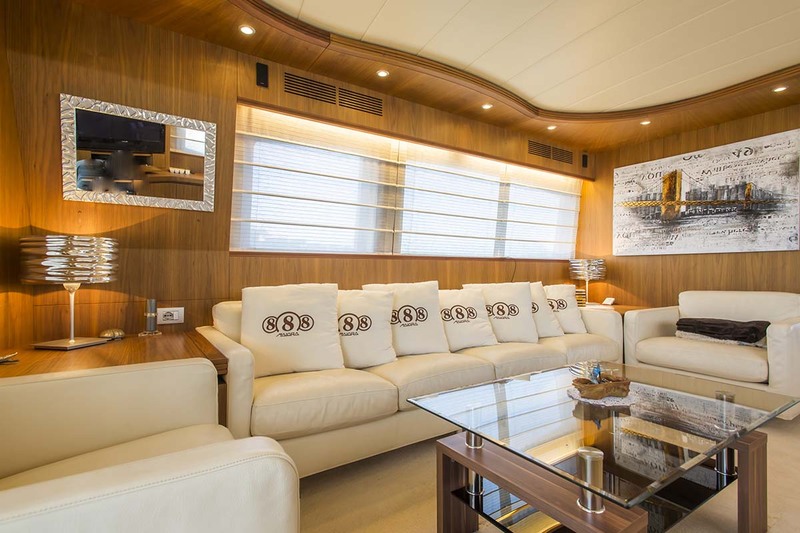 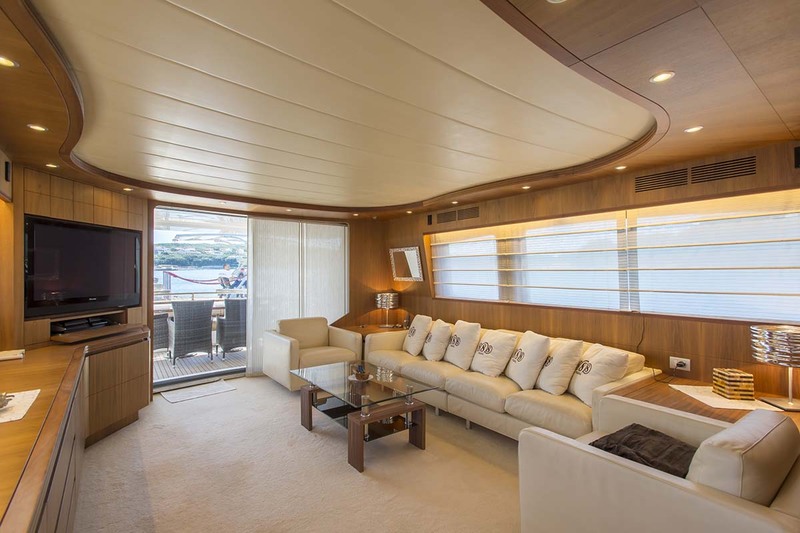 The yachts salon and dining is laid to an open plan, making it perfect for gathering with family and friends. 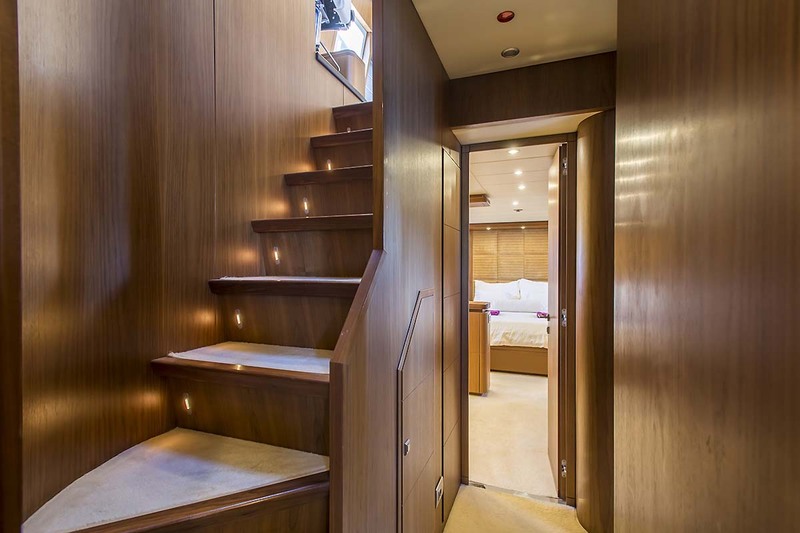 Neutral fabrics are paired with warm woods, while natural light infuses the area, giving it a bright and airy ambiance. 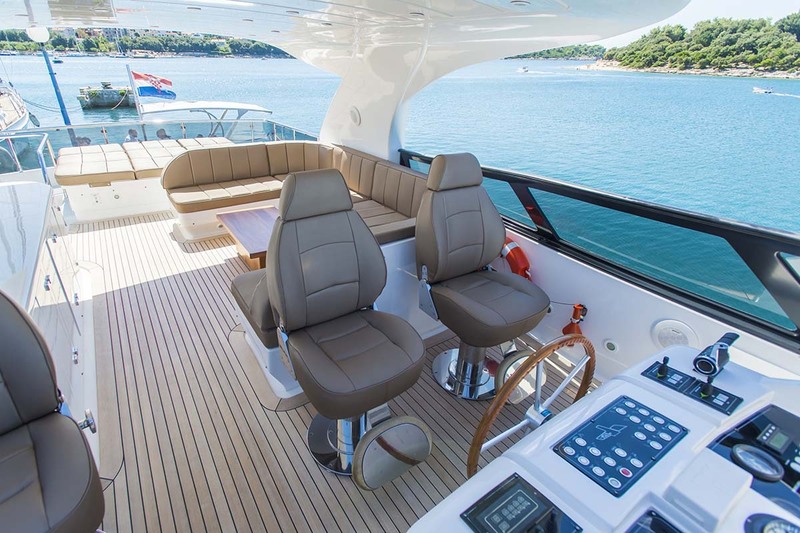 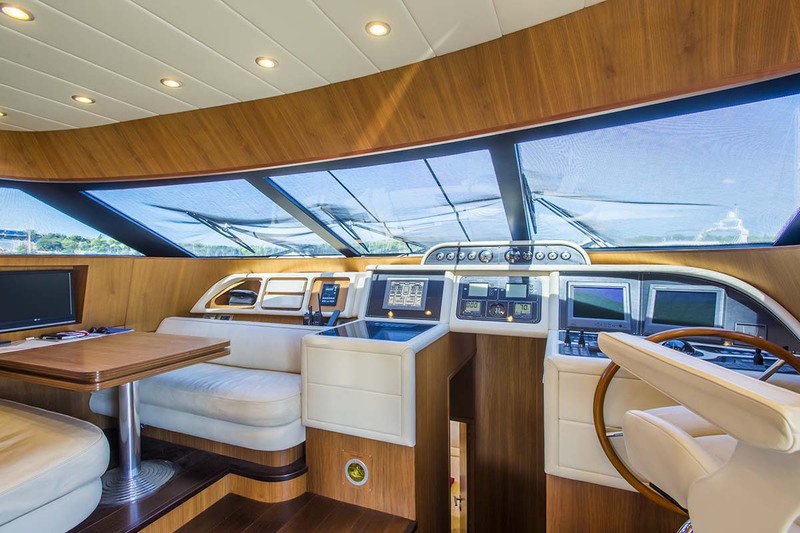 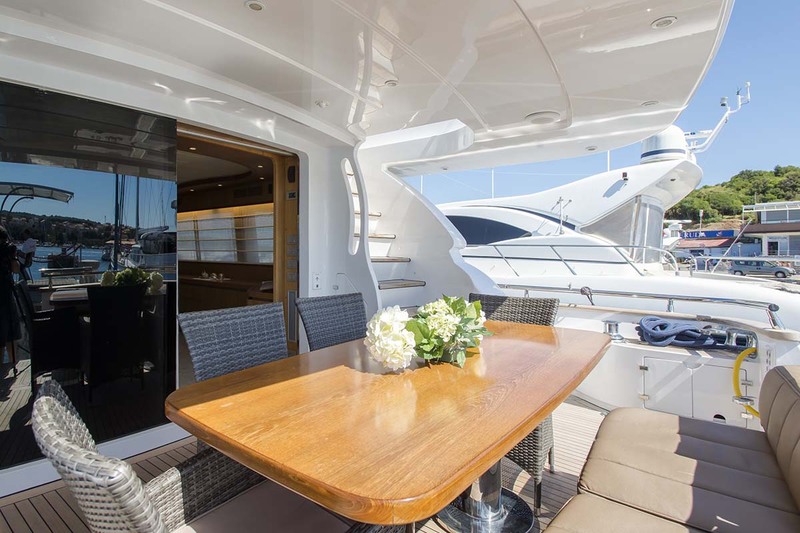 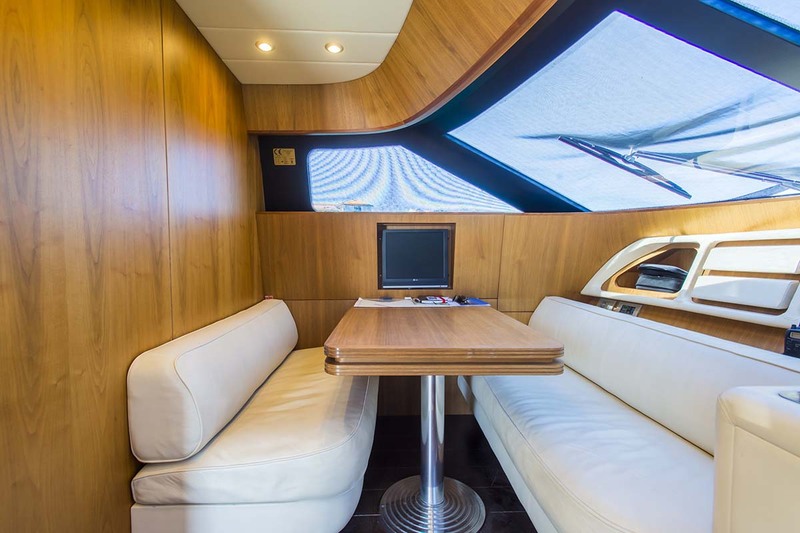 On deck, MY 888 has a partially shaded aft deck with alfresco dining, from here there is direct access to the foredeck and aft swim platform. 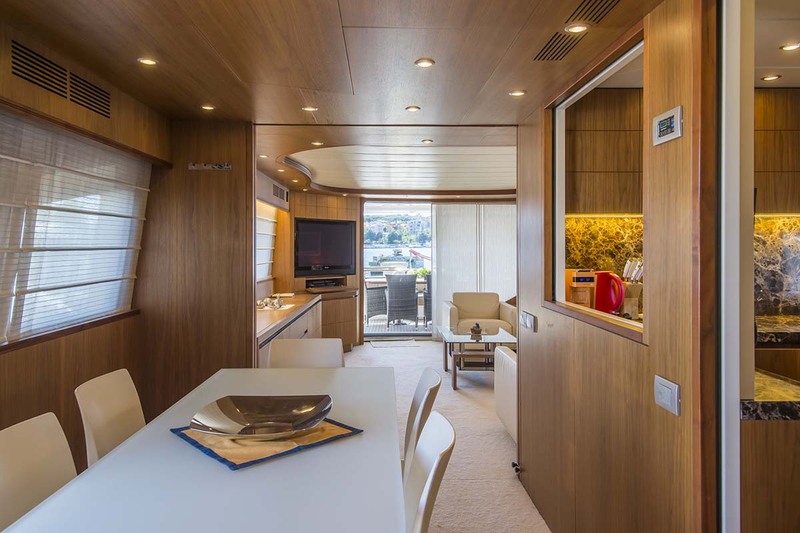 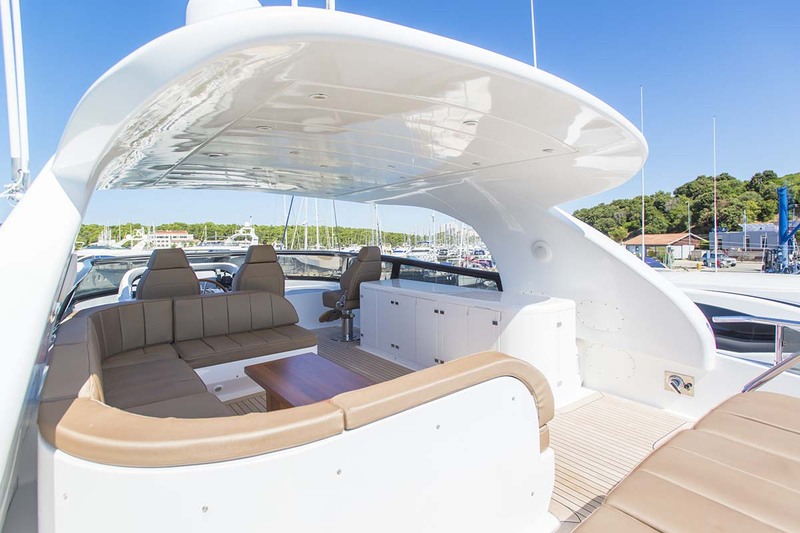 Her upper deck features sunning areas, seating, alfresco dining and a Bimini cover. 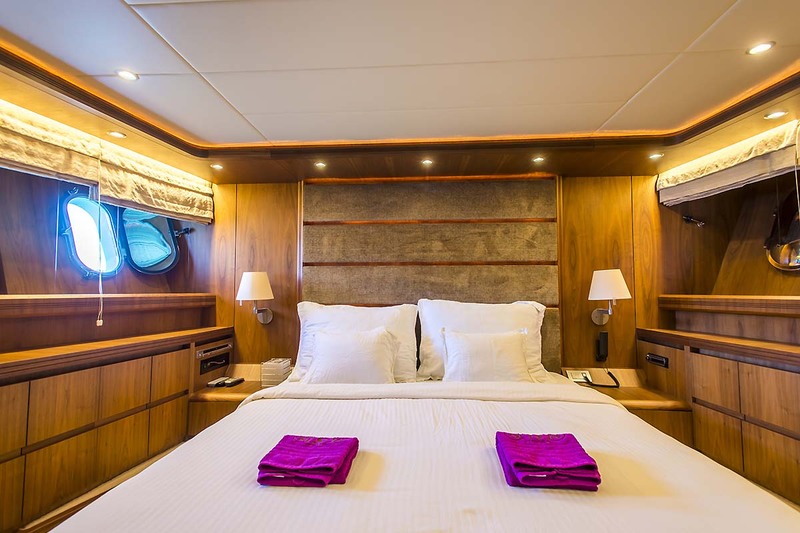 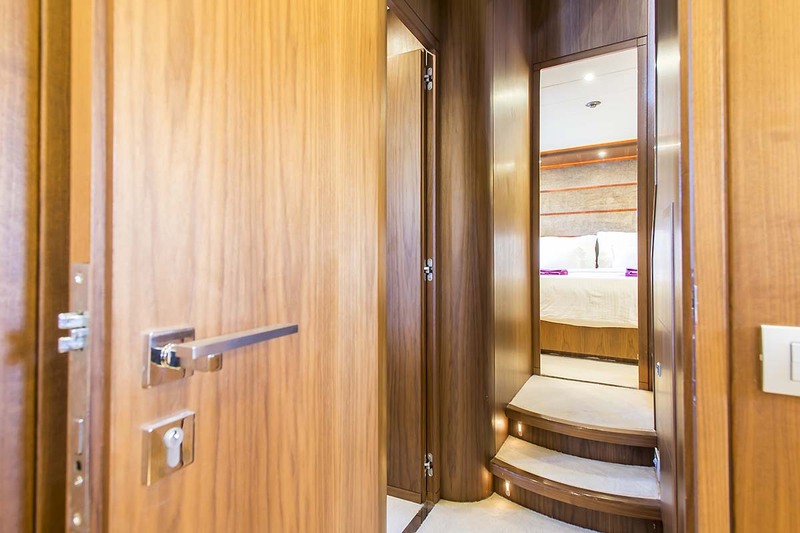 Six charter guests are accommodated in a master stateroom, VIP cabin and twin cabin.